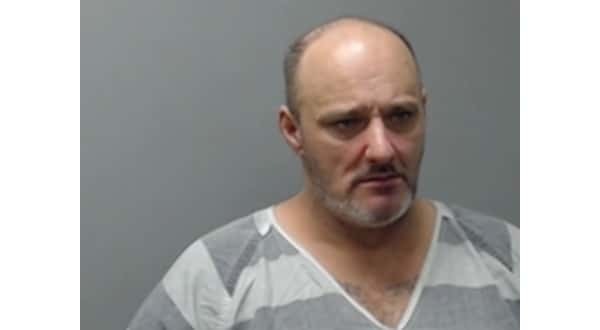 A Mountain Home man who cried, pleaded, proclaimed his innocence, said he did not belong in jail and demanded to be released during an appearance in Baxter County Circuit Court Thursday ran into trouble when he tested positive for methamphetamine.Forty-five-year-old Frank Elmer McElyea appeared on a video hookup between the courtroom and Baxter County jail. He wasted no time in pleading his case, saying at one point he had done nothing, was innocent, and should not be locked up.McElyea talked so much and so long, Baxter County Circuit Judge Gordon Webb admonished him to be quiet and to calm down, warning McElyea he was not helping himself with his almost non-stop and seemingly uninterruptible dialog.Judge Webb was in the process of conducting a Rule 8.1 hearing in which a person arrested and not bonded out of jail is brought before a judicial official to have the charges against him explained, and to ensure the inmate is aware of his constitution rights. McElyea was arrested along with two other men this month when officers served a search warrant at a residence along Baxter County Road 27. The warrant was issued as the result of an investigation into drug distribution involving controlled drug buys made from the residence. The officers found methamphetamine, marijuana, alprazolam and clonazepam pills, along with a loaded shotgun on the property. Two other people at the residence -- Walter Patrick Pittaway and Walter Waylon Pittaway -- were also arrested and charged. McElyea told the court he knew nothing about drugs or firearms and was only on the property to help the two Pittaway men do logging work. He said he did not know the Pittaways and was not aware he was associating with "bad people." During his Rule 8.1 hearing, Walter Patrick Pittaway seemed to back up the claims, telling the court McElyea had nothing to do with the drugs and other illegal items found by officers on the property. McElyea said he suffered from post traumatic stress disorder, was a mental patient and needed to go home to care for his disabled wife and to have access to his medications. During his discourse on his plight, McElyea said, "I did not do this stuff, somebody needs to help me, please help me." Judge Webb was prepared to release McElyea on his own recognizance and allow him to return home, but required he take a drug test first and that is where thing began to unravel. Despite his claims to be drug free, McElyea was reported to have tested positive for methamphetamine in his system. Instead of releasing McElyea on his own recognizance, Judge Webb set a $10,000 bond which can be posted by a bail bond company or in cash. Currently, McElyea is ordered to reappear in circuit court Feb. 28th.